In the autumn of 1888 a series of brutal murders in the East End of London lit a fire that sent shockwaves reverberating around the civilised world. 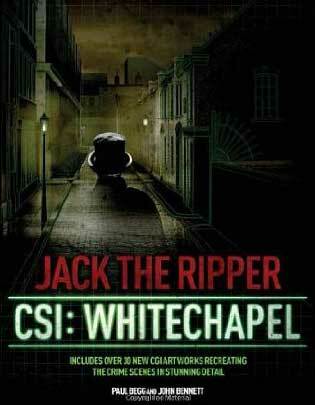 The murderer was never caught, but, at the height of the panic, a letter signed "Jack the Ripper" was received by a London news agency and the world's greatest criminal legend was born. On this unique and highly original Jack the Ripper walking tour we spirit you back to that long ago era when terror lurked in the shadows and the whole of London walked in fear. 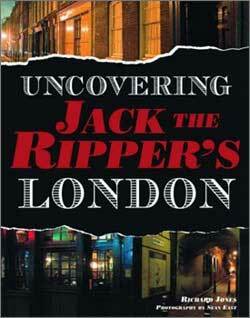 This is the only London Jack the Ripper Walk to take you through the very epicentre of the murders. Within minutes of leaving Aldgate East underground Station you step beneath a sinister archway and catch your breath as the security of the 21st century falls away and you find yourself in a cobblestone alleyway that is just as it was in 1888. It was here in August 1888 that what, at the time, was thought to be the first of the Jack the Ripper murder's took place and your guide will paint a vivid and chilling picture of that crime and the way in which it impacted on the area as a whole. 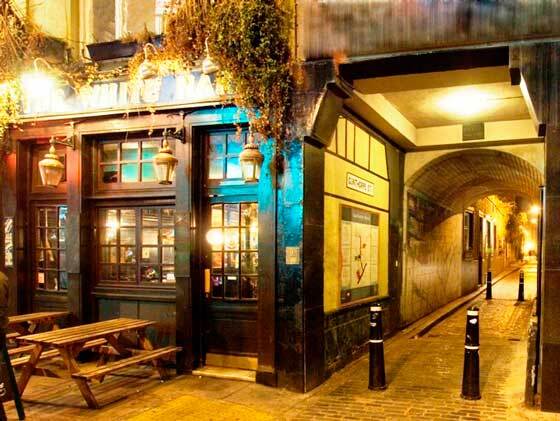 From here on you follow in the footsteps of the Victorian police through some of the most atmospheric and least changed streets imaginable and picture them as they pursue the Ripper through one of the most crime ridden quarters of the Victorian Metropolis. 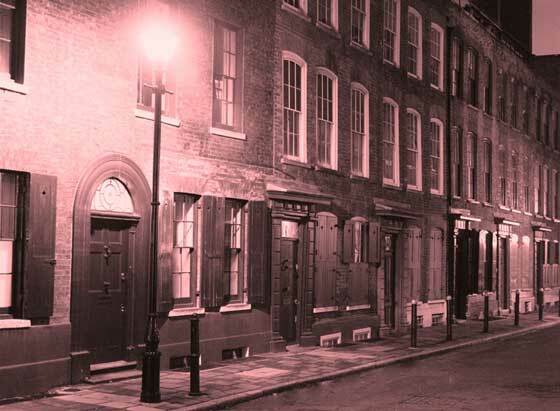 You will experience streets that still have the ambience of the 1880's; visit the sites of buildings that Jack the Ripper's victims would have gazed upon on a daily basis and get a true feel for the streets of London's East End, both at the time of the murders and today. You will stand at the scene of each murder and contemplate the horror of each killing. Your guide's commentary will bring the old streets to life as he people's the area with those who lived through the autumn of terror. 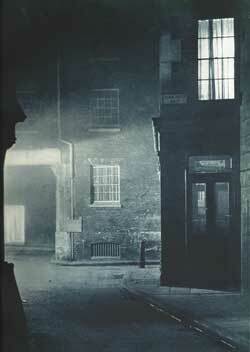 You will get the true measure of what it was like to inhabit these very streets when the ripper was at large and the people of the area looked nervously into the dark shadows, fearful that one flitting shadow, one sudden movement might spell the ripper's dreadful return. In addition, our unique collection of contemporary photographs will help fill in the blanks for those buildings that have disappeared. Imagine, standing on a particular spot and being able to study that exact location as it was at the time of the Jack the Ripper murders. On some of the photographs you will see, not just the buildings, but also see the people who were living through the horrors of history's most infamous murder spree. 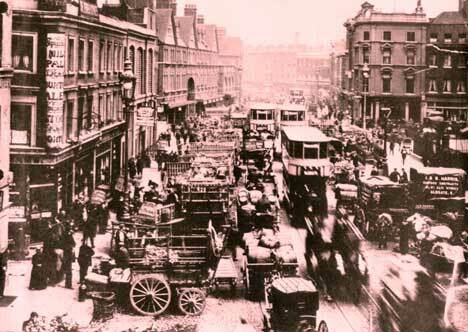 We are the only company to have guides who frequently lecture on the case all over the World and who are featured all the serious documentaries about the Whitechapel Murders. Our guides carry out dedicated research into the Whitechapel Murders and, as a consequence, they have garnered a huge amount of respect in the field of ripper studies. We have never wanted to do what so many companies do, employ actors and students, pay them the minimum wage and then sell our tours at rock bottom prices. If that's what you want then we're honestly not the company for you. We offer a quality tour, guided by acknowledged experts and, as a consequence, when you take our walk you'll be able enjoy a truly enlightening experience with a guide who is up to speed on all the latest developments in ripperology. So, we're not the cheapest company when it comes to Jack the Ripper tours, but we are most certainly the best and the most respected. Three of our guides are best selling authors who, between them, have written ten acclaimed books on the case, and all our guides have appeared on all the television documentaries over the last few years. Our clients really do appreciate this, and they constantly comment on the fact that they really felt that they were being taken around by someone who knew what they were talking about and who was able to answer question and discuss all aspects of the mystery. And, thanks to our meticulous research, together with our determination to make this more of a voyage of discovery than a simple walking tour, you will gain a complete understanding of the full story of the world's most famous murder mystery in the very streets where it unfolded. So, if you are the sort of person who enjoys a mystery, if you have ever wondered about the facts concerning the murders that shook Victorian society to its very core, and if you want an intelligent, thought-provoking tour that doesn't rely on gimmicks or hype to fire your imagination, then give our Jack the Ripper walk a try and discover for yourself that when it comes to this subject, as with all our walking tours, we really do work hard to offer you a welcome difference. 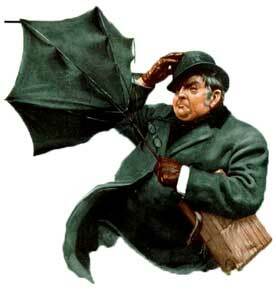 Please note this will take you to our dedicated Jack the Ripper Tour site.